Your favourite Android apps continue to covert chat with remote servers, raising suspicions while also eating your Internet bandwidth, MIT has reported. 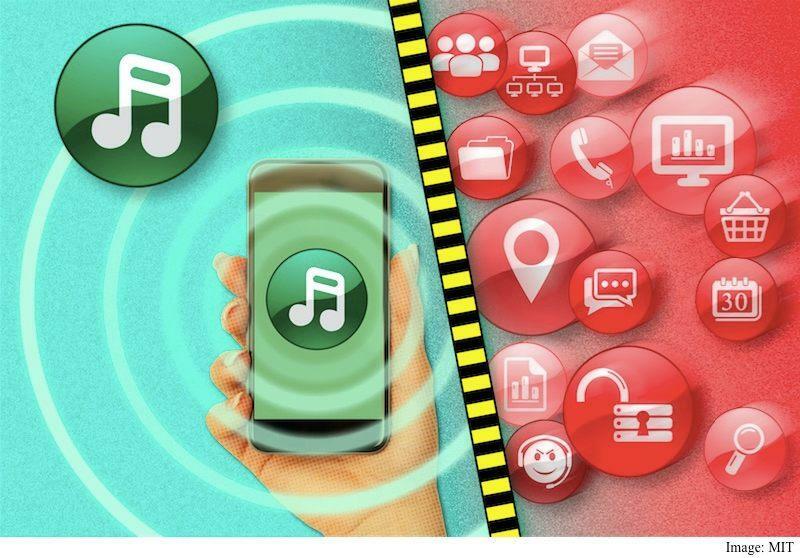 The private university investigated top 500 popular Android apps to find that much of the data transferred to and from them make little to no difference as far as user experience is concerned. The investigation, led by Julia Rubin, a post doctorate at MIT's Computer Science and Artificial Intelligence Laboratory (CSAIL), reported that half of the covert communications done appear to be initiated by standard Android analytics packages. The analytic packages report statistics on usage patterns and program performance intended to help developers improve their apps. But the remaining 50 percent of the communications weren't initiated by these packages, and more importantly, they added no value to the user experience "There might be a very good reason for this covert communication. We are not trying to say that it has to be eliminated. We're just saying the user needs to be informed," said Rubin. "Our analysis shows that 63 percent of the external communication made by top popular free Android applications from Google Play has no effect on the user-observable application functionality," the researchers wrote in a paper. Twitter app for Android was found quietly collecting information about videos and other rich media attachments followed by the users in tweets. Facebook, similarly, was found to use social-graph services and transmit data about app usage. While the team couldn't find out the purpose of these communications, it did note that in short sessions, these ate up to 50 percent of Internet data. The data usage went down when a user downloaded an app or something, or watched a video on the Web, however. To prove its point, the team modified 47 of the top 100 Android apps to see if it made any difference to their functionality. They noted that 30 of such apps offered no difference, but in nine apps, ads were found to be missing, though apps continue to run as usual. In the case of Wal-Mart app, for instance, the team noted that it saw the app sending information to a server that appears to be associated with eBay. Disabling this connection didn't affect the app's behaviour. The Android mobile ecosystem continues to be a concern for anyone who cares about security and privacy. The poor adoption rate for newer version of Google's mobile operating system has made it possible for the company to reset one's passcode to access a vast majority of Android handsets, should a court issue such an order. We also have adware such as Shedun, which can download and install apps on your handset even if you have explicitly cancelled the installation. What Are Your Favorite Android Apps ?